Batman Returns! 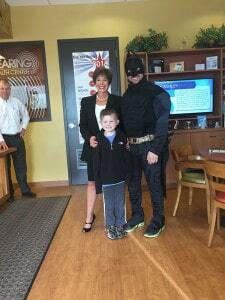 The Caped Crusader returns to visit Brannon Moran in the Hearing Health Center Highland Park office! Fisher Foundation for Hearing Healthcare gives fourth-grader Brannon Moran more than $7,000 worth of hearing aids. The following article was submitted to Patch by Dr. Michael Breen. It’s been a gut-wrenching year for the Moran family. The Glenview couple’s finances have been stretched to the limit. Yet this Thanksgiving they’re more grateful than ever. Brannon’s once fast-growing brain tumor is now undetectable…and he’s even back with his fourth grade classmates. Brannon’s back to school thanks to his incredible medical team…and to the Fisher Foundation for Hearing Healthcare. The Chicago foundation, a one-of-a kind, not-for profit enterprise, gave Brannon state-of-the-art $7,500 hearing aids for free. “When the Moran family reached out to us, we couldn’t say no,” says Dr. Ronna Fisher Au.D. “I don’t think anyone could say no to a family and a child like this one.” The audiologist directs the foundation and is the founder of the Hearing Health Center in Chicago, Naperville, Highland Park and Oak Brook. Over his short life Brannon had already fought a speech delay, ileitis, and an immune disorder. His parents paid nutritional consults, speech and occupational therapy. Then came the diagnosis of brain cancer with emergency brain surgery, a month of radiation, and six months of aggressive chemotherapy. Yet through it all, Brannon has rarely complained. 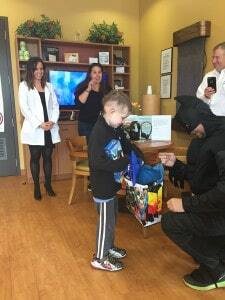 Despite his lifetime of illness and debilitating treatment, he’s remained a bright, happy Batman-loving boy. 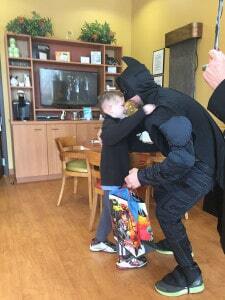 For the Fisher Foundation helping children like Brannon is a departure. 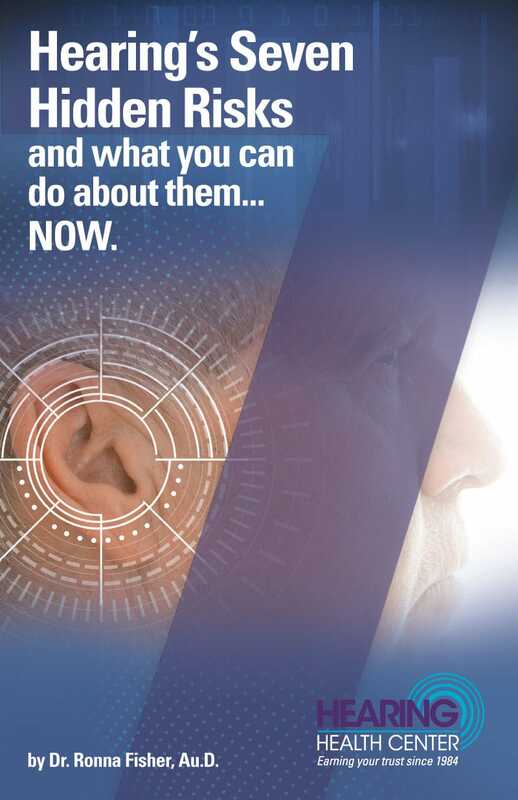 Dr. Fisher created the organization in 2005 to offer free hearing aids to needy adults, to educate the public about the medical effects of hearing loss (e.g. 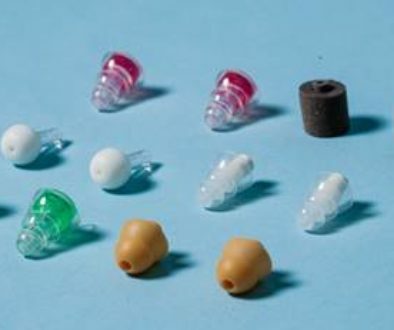 an increased risk of diabetes, Alzheimer’s Disease, strokes, and high blood pressure), and to offer free high-tech hearing protection for local soldiers entering combat. Now Brannon’s learning to use an iPad with his fourth grade classmates. The keys to his classroom success are his hearing aids…and his tremendous determination. Because of his treatments Brannon often had violent vomiting attacks during his tutoring sessions. His tutor would offer to stop; Brannon insisted they continue. And the Moran’s plans this Thanksgiving? A family dinner at home. Simple…but it means everything.